Barley wine beers are an interesting lot. Though not wine at all, these intense brews do pack a boozy punch—often registering between 10 and 15 percent alcohol by volume—and are often quite sweet and filled with a swirl of flavors, from dried fruits to acidic hops to caramel. The worst ones are syrupy sweet and have an unpleasant alcoholic bite. The best versions counter sweetness with a rich mouth feel and beg to paired with decadent foods. Like wine, barley wines can be cellared for years and saved for a special occasion. 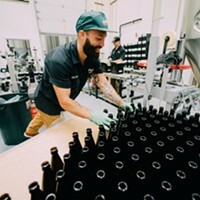 Mirror Mirror (11.2 percent ABV), the latest beer from Deschutes' Reserve Series, is among the highest tier of barley wines. 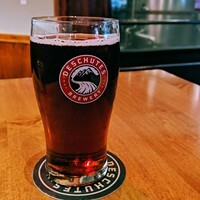 Made from a double batch of Mirror Pond ale, the award-winning rudy brown brew is an outrageously complex, sweet, but superbly balanced barley wine that even the most wicked aficionado should appreciate. Last released in 2009, 50 percent of the 2014 version of Mirror Mirror was aged in wine barrels, which impart a hearty yet delightfully light oak flavor (the other 50 percent of the beer is fresh ale—the two were blended and bottle conditioned together). 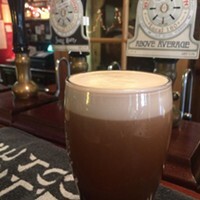 Silky smooth and with a thin head, the astute beer drinker may detect caramel and dried cherries within this minimally carbonated beverage. In short, Mirror Mirror is a stunner. To fully enjoy the fairy tale experience, follow these simple guidelines: serve cool, not cold—frosty temps will wreak havoc on Mirror Mirror's intricate flavor profile (no chilled glasses, please!) and pair with salty, robust cheeses or dark chocolate. Mirror Mirror a is fine after-dinner drink. Treat it as such—sip slowly with seven of your closest friends. 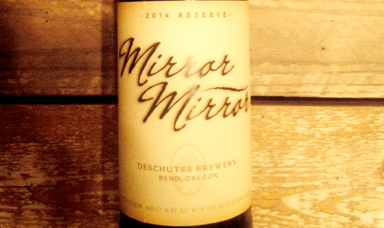 Mirror Mirror will be available Thursday, March 6 at select bottle shops and at Deschutes Brewery.